Innovation is the lifeblood of growth-oriented companies. In a fast-paced global marketplace that’s more competitive than ever, a company’s ability to develop better products and services and improve internal processes and practices can be the difference between leaping ahead and falling behind. 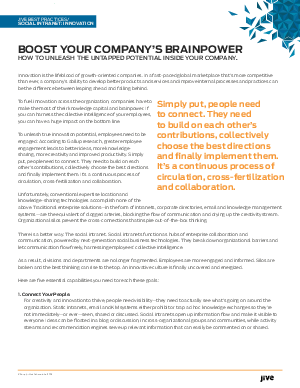 Learn how to unleash the untapped potential in your company.